With all of the new projects shared by our team during the release, we know you are left with lots of ideas and "I have to try that!" moments. We present the "Create Along With Us" challenge. This challenge allows you to select something that the amazing team has created during the release that inspired you, and create your own version. Your project could use a color scheme that inspired you, a technique, revisit an older set, etc… The InLinkz list below allows you to share your creations with the community. We hope you will have fun participating and that this is a feature you will look forward to playing along with each month. If you are joining along this week, here are the details concerning the "Create Along With Us" Challenge. –Create a project utilizing inspiration you've seen during release week. Your project must use at least one Papertrey product. –Post your project on your blog, in your gallery or on any other photo-hosting site (such as photobucket or flickr). Be sure to share the team project that left you inspired and link back to their original post to give them proper credit. –You will have until 6am, Monday, January 18, to add your link to the list to be eligible to win. –One randomly selected winner will be chosen from ALL the entries on Monday, January 18, after 6am. The winner will be posted here on this blog post, on Twitter and Facebook. The randomly selected winner will get a $25 PTI gift certificate to spend however they like! 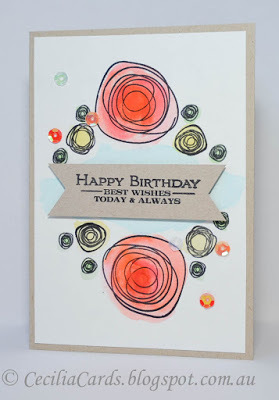 Congratulations to Cecilia's Cards for being randomly selected as this weeks winner! Please email Customer Service and provide the email address you would like your $25 gift certificate sent to! And a big thank you to everyone else who participated in this challenge. There were so many amazing entries! Enjoy the rest of your week! Thank you! Thank you! Love the new releases, good excuse to buy!